The right for workers to organize and strike is an internationally-recognized human right. Yet in Iran and around the world, the rights of workers to organize and act to defend their most basic interests – food for their table, means of survival – are trampled. Labor activists are jailed, threatened, and killed. Send an email in support of workers’ right to strike and join the global movement to demand that workers’ rights be upheld, and all workers who are imprisoned for asking for fair work conditions in Iran and worldwide be released. 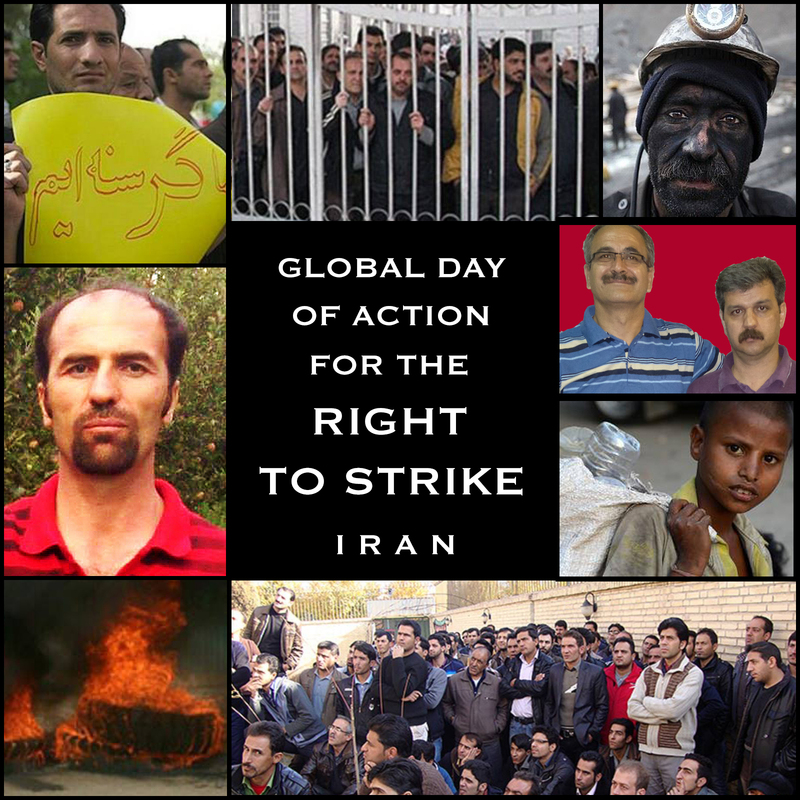 On the occasion of the Global Day of Action for the Right to Strike, I am writing to urge you to take action to support the rights of workers in Iran. Under President Rouhani, the right of workers to form unions continues to be criminalized. Workers’ wages remain unpaid for months on end, while even paid wages have not kept up with the galloping inflation in Iran and workers’ families are starving. Labor leaders and activists continue to be prosecuted, jailed, and tortured for their role in seeking fair and just conditions for workers in Iran. I request that you advocate in strongest terms for the right of Iranian and all workers worldwide to organize and strike to defend their basic rights. Urgently seek the immediate and unconditional release of labor activists like Behnam Ebrahimzadeh, Shahrokh Zamani, Reza Shahabi, and all other labor activists who are arbitrarily detained by the anti-worker regime in Iran.